Jim LaPlante has been active on the OBI Land Trust Board of Directors for 13 years and he is longest serving chairperson of the all-volunteer land trust. As a longtime Watertown resident and amateur nature photographer, Jim has enjoyed many summers at his family lake house on scenic Fuller Bay in Cape Vincent. He has an appreciation for the natural beauty of the North Country. His decision to join OBI has been a personal commitment and a learning experience about the importance of working together to protect the places we love in the Jefferson County shoreline communities. As head of an all volunteer land trust, Jim’s work consists of guiding many aspects of the organization, including grant writing, walking properties and meeting with potential donors. His unique background prepared him well for his role at OBI. As a small business owner, he traveled extensively and was solely responsible for his success. More than 40 years of independent management positioned him to understand how to develop a successful small business model. Jim has an impressive collection of bird photographs from across the North Country. Recently, his photo of a Snow Bunting in the Town of Cape Vincent was published in Birdwatching Magazine! Even if you have never met OBI Land Steward Lee Ellsworth, chances are you have seen his photographs. Lee’s stunning images – including landscapes, birds and plants – have been featured by OBI both on our website and in brochures. Lee’s photographs have also been among those featured in the silent auction at OBI’s annual fundraiser. Lee joined the OBI Board of Directors in February 2015 and then became vice-chairperson of OBI in 2016. His knowledge of our region’s different habitats - including the alvar - has helped with various aspects of our land trust. Lee has also been a volunteer for the Nature Conservancy for more than 20 years and is retired from a 30-year career as a lab director at the Watertown Water Treatment Plant. Lee and his wife, Cathie, are longtime Watertown residents. “Throughout my life, a goal of mine was to preserve open space. OBI allows me that opportunity,” he said. When she moved back to her hometown roots in 2001, Joan Treadwell Woods wanted to make a difference in the North Country. “I really knew that I wanted to give back and make a contribution,’’ recalled Joan, a Watertown native who had a 35-year career with IBM Corp. She has served as the Treasurer of OBI Land Trust for more than a decade. At every monthly meeting of the OBI Board of Directors, Joan gives her financial report – and everyone listens. She has the challenging task of tracking and managing income and expenses, and also provides detailed analysis that is used by board members to make key decisions to keep our non-profit organization on a path to continued success. A resident of Henderson Harbor for several years, and a lifelong seasonal resident, she enjoys boating and the beauty of the area with family and friends. She worked closely with her cousins, Charles and Gale Stone, to help conserve Stoney Cove, one of the last stretches of undeveloped shoreline in Henderson Bay. The land is now protected by a conservation easement with OBI Land Trust. “I’ve always been interested in Land Ontario and its environment, and it just seemed natural to get involved with OBI,’’ she said. Joan is a Master Gardener, who is particularly focused on native and pollinating plants of the Northeast. She also serves on several governing boards at Samaritan Medical Center, including serving as chairperson of the Samaritan Summit Village Board of Directors for its initial five years. Her education and life-long love of nature made Vicki Hanley a perfect fit for OBI. The Watertown resident was unanimously elected to the OBI Board of Directors in January 2018. Vicki also recently joined the OBI marketing committee. “My parents and their friends had a love of the outdoors and we spent many days hiking and fishing,” she recalls of her summers spent in Inlet, located in the western Adirondacks. Vicki has a degree in Wildlife Biology Management from the SUNY College of Environmental Science and Forestry, Syracuse. She also worked nearly 30 years in finance, including the Bank of New York Mellon and NYNEX/Bell Atlantic Yellow Pages. Recent retirement is allowing her to spend more time fishing, hiking and helping OBI with its local conservation mission. For the last 13 years, Tracy Valentine is a Chaumont native who has served on the OBI Land Trust Board of Directors. She attended a monthly board meeting back in 2006 to find out more about what land trusts do, but never expecting that it would turn into such a long commitment to OBI. She worked as a journalist for more than 20 years – including several years as a reporter for the Watertown Daily Times – and her service with OBI has included lots of writing. Tracy is editor of the OBI newsletter, and creates contents for brochures and advertisements. Tracy served 8 years as OBI Secretary and currently serves on the marketing committee. Tracy’s family has deep roots in the town of Lyme, particularly on scenic Point Salubrious in Chaumont. She and her husband, Edward - also a Chaumont native - live in Watertown and have four children. Other than writing, Tracy enjoys outdoor exercise, kickboxing class and cooking. She is a member of the Lyme Book Club and serves on the Board of Directors for the Samaritan Summit Village, Watertown. OBI Board Member Joel Block never turns down a volunteer job that takes him outdoors and into nature. He often pulls on a pair of work boots and tags along with our land steward for a day’s work – clearing nature trails, seeking out invasive plants or trudging through forest and grassland during annual property inspections. You would never suspect he might be from the city -- until he starts talking. His Bronx, NY accent is a dead giveaway. “Too many people from outside the city fail to realize the vast variety of flora and fauna that thrive in city woodlands. I’ve had raccoons, rabbits and an opossum in my garden in Flushing, Queens, and have seen deer, foxes and coyotes too in the city parks,” said Joel. Joel and his partner, Judith McGaughey, have lived on scenic Point Salubrious in Chaumont since 2007. They love hiking, biking, sailing and skiing. Colin Burns joined the board of the Ontario Bays Initiative in January of 2019. Colin joins the board with an enthusiasm to help cultivate another generation of land stewards. Colin is an employee of WPBS-Public Television, helping business and organizations with their marketing strategies and raising money for WPBS’ local and national programming. Colin wants to help OBI spread the message of land conservation through social media and media outreach. 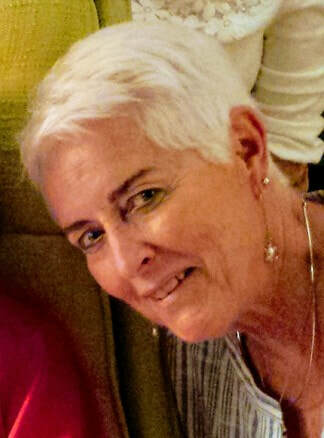 Rosanne joined the OBI Land Trust Board of Directors in 2018. She retired from Jefferson Community College having worked for 40 years in Admissions and Enrollment Management. She brings a passion for marketing, event development and management to the all-volunteer OBI board of directors and serves on the OBI marketing committee. Rosanne has spent summers on the shores of Lake Ontario in Hardscrabble Bay, an important raptor migration route and Grassland bird habitat. 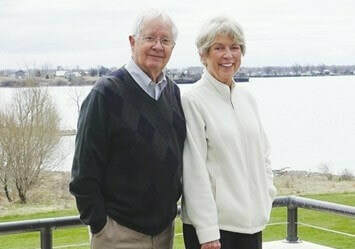 Currently she and her husband Jim LaPlante, spend most months at Cape Vincent’s scenic Fuller Bay. Situated at the mouth of the St. Lawrence River, it is an important migration route for waterfowl. Jim and Rosanne spend every moment possible outdoors, bike riding, hiking, and birding. They both travel extensively and include the grandkids and family on their adventures as often as possible. Sally and Urban Hirschey have been dedicated to the mission of OBI for over 20 years. Sally is the longest running board member until their relocation last year. According to Sally, “ Joining OBI has taught me how important easements and donating land to a land trust can be when it comes to preserving land for future generations.